Despite a valiant effort from Jordan Lyles, the Padres’ nearly 50-year-long no-hitter drought will continue. 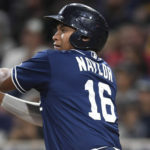 Perfect through 7 1/3 innings, the 27-year-old right-hander dazzled throughout his start against the Colorado Rockies, tallying 10 strikeouts in the process and leading the Padres to a 4-0 win. His dominant effort on the mound was supported by a surge of power from his teammates, namely a pair of home runs. 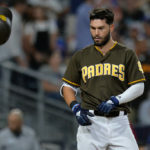 First baseman Eric Hosmer wasted no time in getting things started for the Padres at the plate, turning on a first-pitch fastball for a two-run home run in the bottom of the first inning. Five innings later, third baseman Christian Villanueva followed up with a two-run home run of his own in the sixth, giving Jordan Lyles a 4-0 lead as he attempted to make a run at history. Lyles cruised through the first six innings of play. Making use of effective off-speed offerings, he took advantage of the Rockies’ apparent aggressiveness at the plate, earning a multitude of short, one-pitch outs from Colorado. 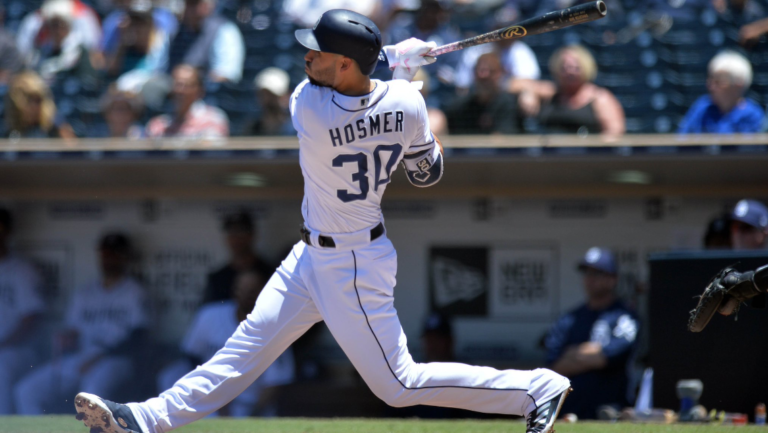 His run at the Padres’ record books, though, came to an end in the eighth inning. Following a strikeout of Carlos Gonzalez for the first out of the inning, Trevor Story lined a single into left field that dropped in front of Franchy Cordero. The Rockies’ lone hit of the game seemed to be placed perfectly, and Cordero, who was playing in a deep, no-doubles configuration, had no chance to get to it. Lyles would go on to issue a walk to the following batter, which brought his dominant start to a close. After his departure, a combination of Kirby Yates and Brad Hand were able to close the game out for the Friars without incident, earning the team a 4-0 win over the Rockies on the last game of the home stand. 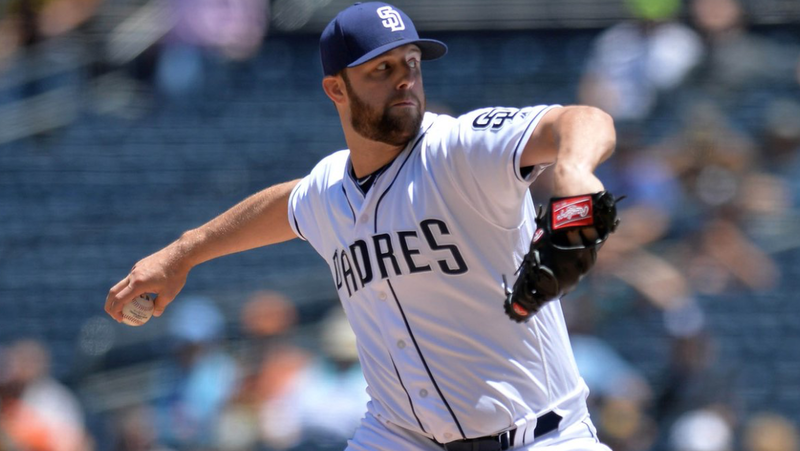 Throwing just 85 pitches across more than seven innings, Lyles’ start against his former team represents one of the most dominant and efficient efforts the Padres have seen on the mound this season. Perhaps equally as important as Lyles’ stats on the day, however, was the historical significance of both what he was and wasn’t able to accomplish. His start represented the second-longest perfect game bid in franchise history, behind Chris Young’s September 2008 start vs. the Brewers. The combined one-hitter between Lyles, Yates, and Hand marks the team’s 30th one-hitter of all time. 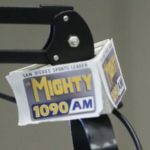 But what may stick out to Padres fans the most out of today’s effort is the fact that a no-hitter continues to remain elusive. In 7,855 total games, the team remains on the hunt for their first no-hitter, the only team in Major League Baseball to be without one. 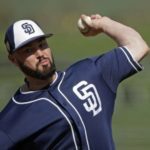 This season, both Tyson Ross and Lyles have seen the Padres get as close as they’ve ever been to the achievement, but yet again the Padres fell short of the milestone. A franchise and fan base that is starved of team accolades will have to continue to wait for the coveted no-hitter. Still, the historical implications of Lyles’ start should not overshadow what was a well-played game in all respects for the Friars. 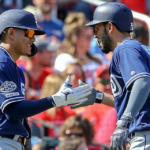 Aside from the obviously dominant start on the mound from Lyles, bright spots abounded for the Padres in their series finale. Christian Villanueva continued to show signs of progress coming out of his lengthy slump, building off of his single last night with an opposite-field single today in addition to his towering home run. Travis Jankowski continued his recent success with two hits out of the leadoff spot. To top things off for the Padres, recent call-up Franmil Reyes earned his first career major league hit with a line-drive single. The Padres now embark on a three-city road trip beginning with a stop in Pittsburgh. They will take on the Pirates in a four-game set beginning Thursday a 4:05 p.m. This was the best game in a while, with a lot of key players performing and/or breaking out of slumps (Lyles, Jankowski, Hosmer, Villanueva, Franmil). 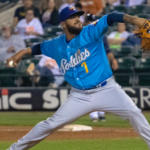 If Lyles continues to pitch like this, he will be a big trade chip, along with Ross. 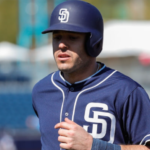 Give Preller and his staff credit for recognizing his potential.